Ever wished you could just crawl away and hide somewhere for a few minutes of peace? (That’s a rhetorical question, I know you have!) Everyone has their breaking point, and for kids, it comes a lot quicker than adults – if you’ve ever found your child curled up behind the lounge, or hiding under a quilt in bed, I’m sure you’ve been able to sympathise with them (and probably used the opportunity to sit down for a solo cup of tea). 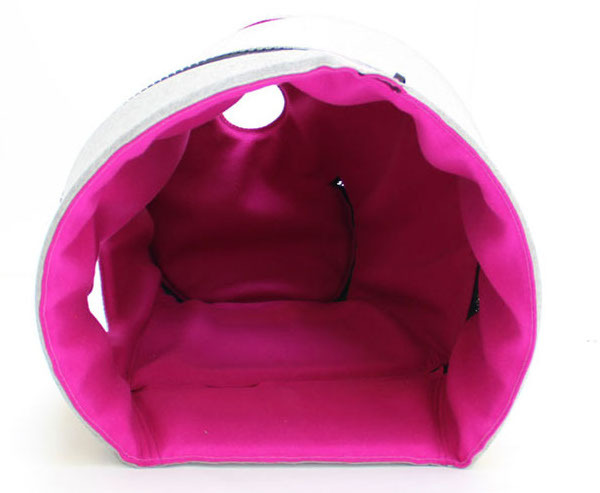 This is the Cocoony Play Pod – the work of independent designer Margot Stummer. 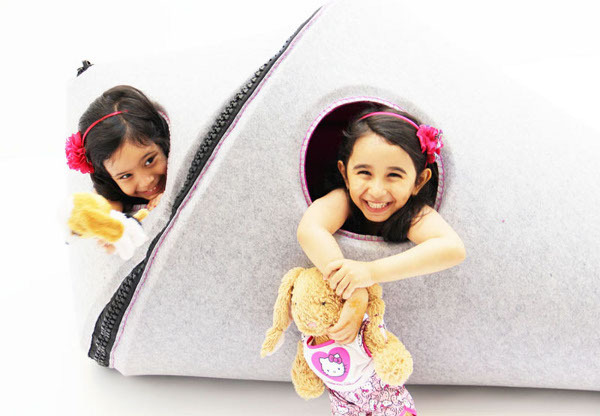 It’s a felt zip up cocoon of sorts, which transforms from a flat play mat to a safe cocoon haven, simply by the pull of a zip. I can’t believe how much I love it. Doesn’t it look comfortable! 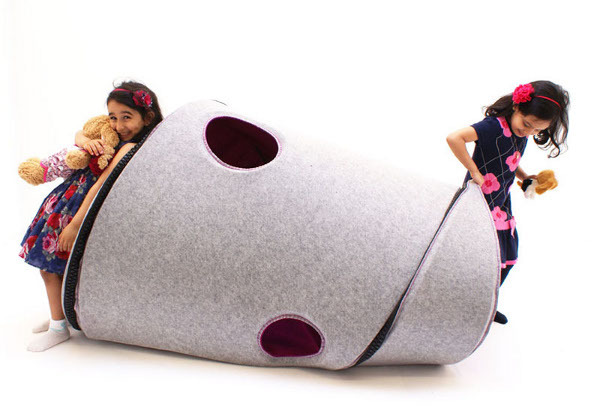 Seriously, who would not want to curl up on that cosy felted interior? It’s big enough for more than one child, which also makes it a great play space – it’s a cubby house and puppet theatre in one. Best of all, it provides a quiet and slightly removed space to go and wind down – something every child needs from time to time. This one is not yet in production but we’ll be sure to keep you informed of any new developments on that front. After all, even grown ups need a place to get away from it all!